Royalist Indians and slaves in the northern Andes engaged with the ideas of the Age of Revolution (1780-1825), such as citizenship and freedom. Although generally ignored in recent revolution-centered versions of the Latin American independence processes, their story is an essential part of the history of the period. 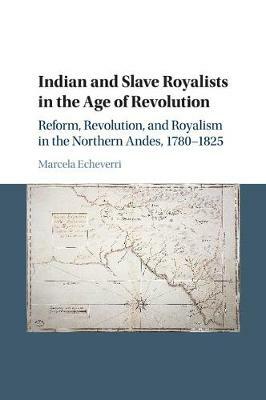 In Indian and Slave Royalists in the Age of Revolution, Marcela Echeverri draws a picture of the royalist region of Popayán (modern-day Colombia) that reveals deep chronological layers and multiple social and spatial textures. She uses royalism as a lens to rethink the temporal, spatial, and conceptual boundaries that conventionally structure historical narratives about the Age of Revolution. Looking at royalism and liberal reform in the northern Andes, she suggests that profound changes took place within the royalist territories. These emerged as a result of the negotiation of the rights of local people, Indians and slaves, with the changing monarchical regime.